The Sabres have recalled defenseman Will Borgen from the Rochester Americans, the team announced Tuesday. Borgen, in his first pro season, joins the Sabres for the first time after spending 74 career games with the Amerks. He has 12 points (two goals and 10 assists) in 66 games this season. Borgen will make his NHL debut Tuesday night in Ottawa because Rasmus Ristolainen is sick. Zach Bogosian and Matt Hunwick are already sidelined. The Sabres had six defensemen Monday night in New Jersey. 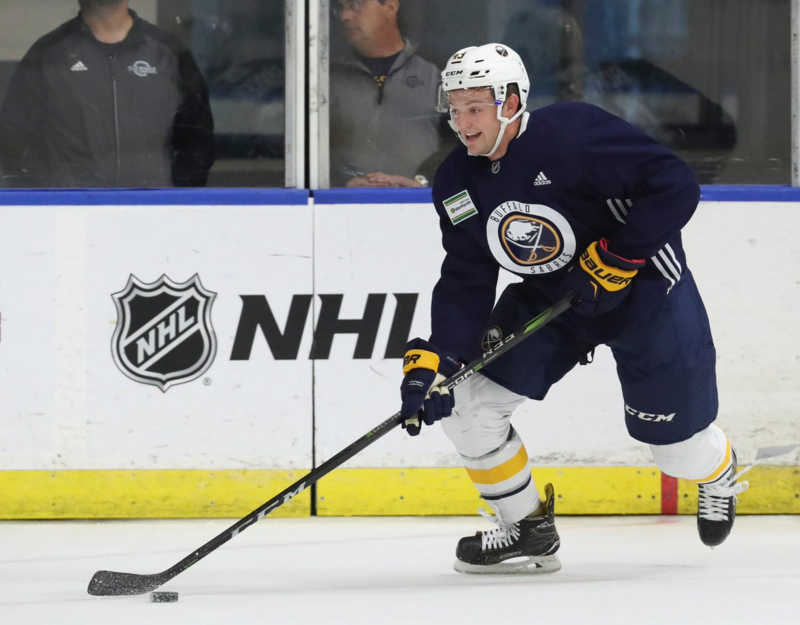 Borgen was a fourth-round draft pick in 2015 and signed his entry-level deal with the Sabres last March after his junior year at St. Cloud State. He played eight games with Rochester last season. He also played for Team USA in the Winter Olympics in South Korea.